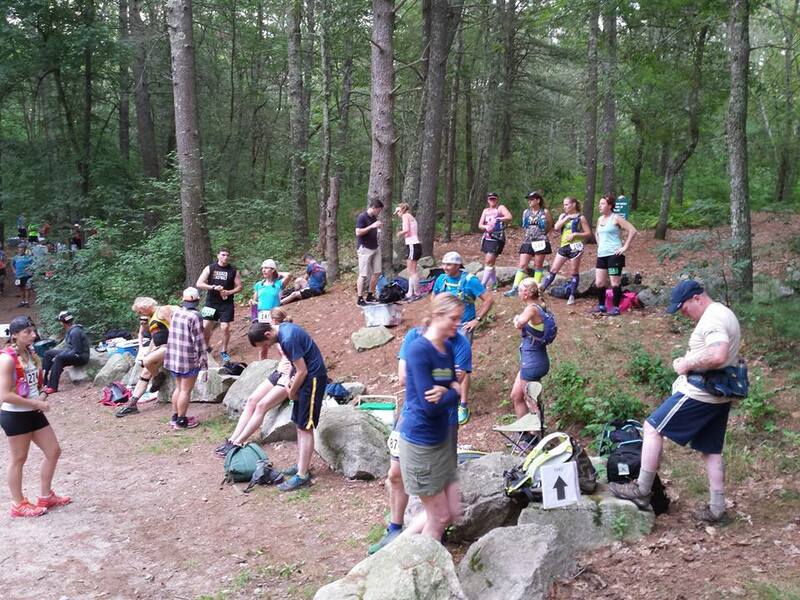 Home » I Finished My First 50k! Parking was super simple. This wasn’t like a major production race, instead of thousands of participants and cars, there was just about a hundred and most people carpooled if they could. The check-in table was just ahead of where I parked, a mere 15 foot traipse at that. I got , my bib, #127, went back to the truck to make sure I had everything I would need as the start line was a 1/4 mile jaunt up the dirt-road. I tried to be smart and prepacked what I would need, at least for the first lap, into my Geigerrig. I had a hiking pack for all the overflow of nutrition, supplements and clothes that I brought. When I got to the starting area there was a drop zone for gear, again because there wasn’t a ton of people, you could leave your bag and easily find it later. The start time was supposed to be 7am but we were a bit delayed. It seems the one port-a-potty that they had requested was delivered to a different area. So, to make sure people had relieved themselves, the race was set to kick off at 7:15. I checked, double checked and triple checked my stuff one final time. The last thing I wanted to do was get out on the 10 mile loop and realize I forgot a Vega bar, some dates or a gel. I’m pretty sure I was overthinking at this point. 7:15am came and it was time to head over to the start. We were given the rules and a last minute pep talk. 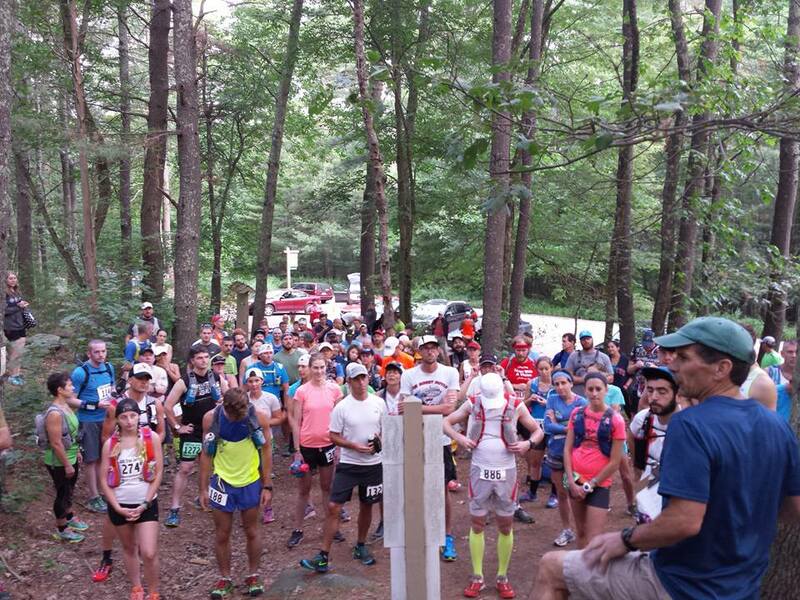 Besides the 50k, there was also a group of people running a 40-miler on the same course. Since the 50k was 31.1 miles, we were to take a slight detour on this first loop to get in that extra 1.1. After that, it was onto the main loop that we were to complete 3 times. Our cut-off was at 6:15pm. Off we went… What did I get myself into? I felt great on the first loop. 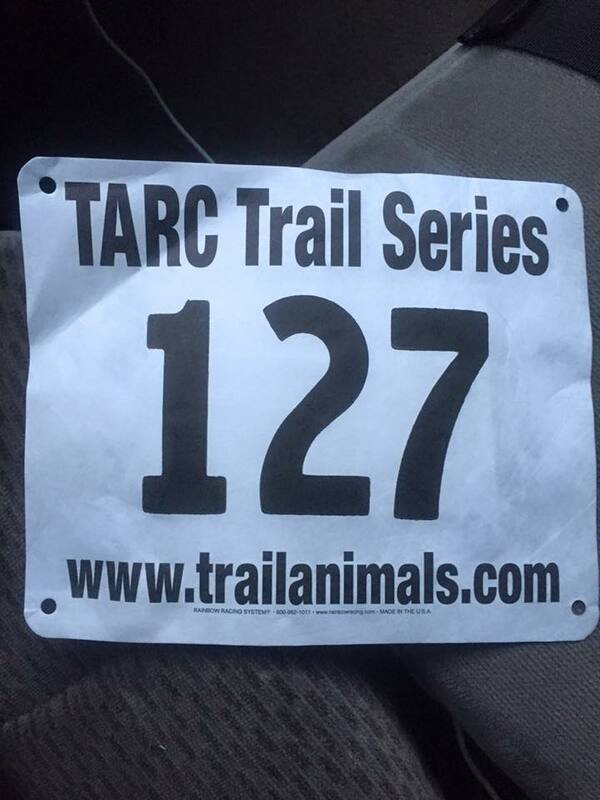 What an amazing course TARC had put together. While there wasn’t a ton of elevation, their use of what they had to make it challenging was well thought out. The course was amazingly marked. I have never run a race that was so well marked. And to think, this was a ten mile loop, someone put a good amount of time marking that. Even though it was a loop, there were quite a few switchbacks. This meant, at times, you had traffic (other runners) coming at you. Again, TARC thought out the signage well and let you know when that traffic was coming and when it would ease. I reached my bag after the first loop to load up. My nutrition plan was working well, and I was staying hydrated pretty well. I had Tailwind loaded into my hydration pack. 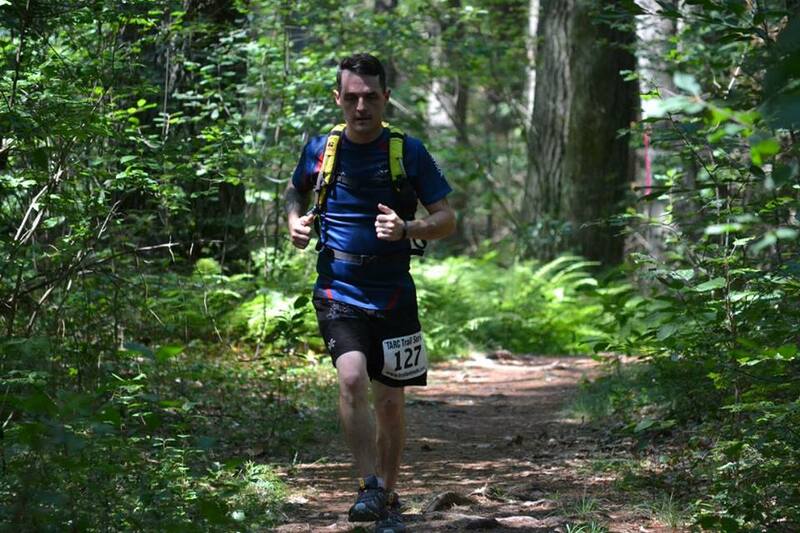 Having used it before on a Spartan Beast and on my half-marathon leg of the Cape Cod Ragnar Relay, I knew it would work well for hydration and cramping. Besides what I had, the aid stations were amazing. I made sure to load up on watermelon. Honestly, I don’t remember watermelon tasting so good. Not only did they have water but they had Tailwind as well. There were tons of others fruit, potatoes, sweets and carbs to keep any ultra runner moving. Up until this point, I was keeping a decent place. It was no elite pace, but it was one I felt comfortable with in that I would finish. Halfway though the second lap, the wheels fell off. My muscles felt great. I wasn’t fatiguing or anything. The arches on my feet and my knees were starting to ache, BAD! With the pain came internal turmoil. I started verbalizing it out loud. I must have sounded like a crazy person. I met a couple other runners along the way. Some of them saw me suffering and offered kind words and support. It felt good to know that perfect strangers believed I could do this, even without knowing me. I hit the bag drop area and decided to sit a minute and get my head together. I have one DNF on my race record, and that was the past Winter Death Race. I started thinking about that, and how it made me feel. 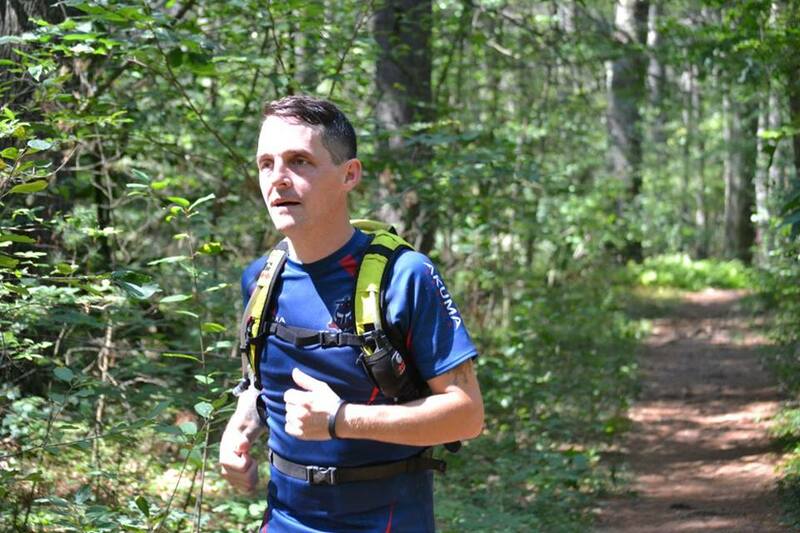 Right after I signed up for this 50k that DNF haunted me; I didn’t want another one. This thought was racing around my head as well as all the other things. Things like how disappointed my children might be if I gave up; again. I was sitting alone and Rick Kraics came over. He broke it down for me. Even if I power hiked this last loop, and kept a a minimum of 20mm I should be able to make the cut-off. I could power hike this, heck yeah. He got me believing in myself again, I grabbed my pack and off I went. While I did a good amount of power hiking, there were nice flat areas I could get a slog going, so I pushed as hard as I could. I hit each aid station looking zombified, but I didn’t waste any time, just got what I needed and moved on. This last lap was agonizing, but I kept one foot in front of the other and after almost 11 hours, just under the cut-off, I finished! I FINISHED MY FIRST 50K!!! My wife, Leah, for supporting all of my crazy antics. To TARC for putting on an amazing event and supporting your runners to the T!! To the volunteers who blew me away with their kindness! To Rick and all the other racers that spent time chatting with me along the way and inspiring me to continue on when I wanted to give up. This came at a perfect time. Thank you 🙂 Congratulations on finishing! Thank you! Already dying to sign-up for my second. I plan to make the time on course count though and not finish last! Thanks for posting this. Do you have any advice for other new-ish runners considering a 50K? What would you have done differently in your training? Nutrition? I am considering doing a 50k in about 5 months, but I don’t have a plan yet. I want to do a half-marathon first. The best advice I can give is to just do it. That sounds cliche and all, the fact of the matter is, you can do it. I won’t lie and tell you I trained every day, there were weeks when I barely ran twice in that week. When I did run though I made sure it counted, meaning, I wasn’t out running a 1/2 mile loop around the neighborhood. For the most part, I tried to get in a couple short runs and one long run each week. The longest being about 15 miles. 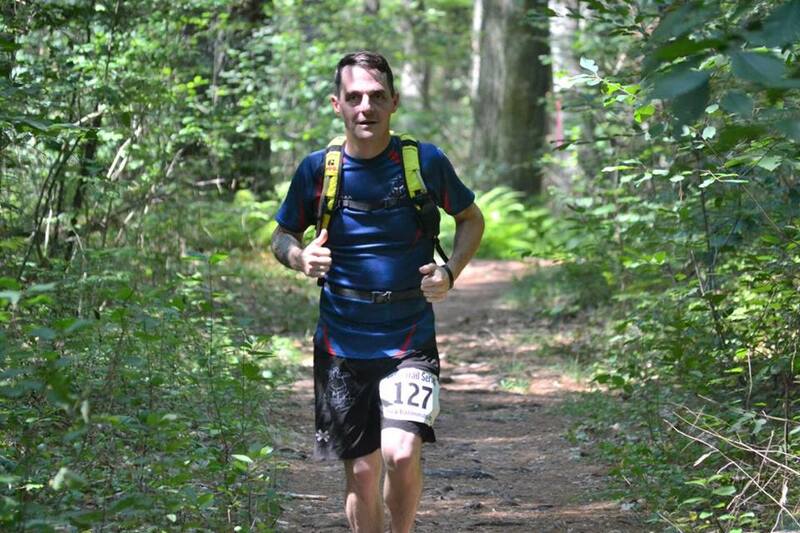 If you can do 15 miles, you can do a 50k. Miles are miles, it just takes a lot longer. 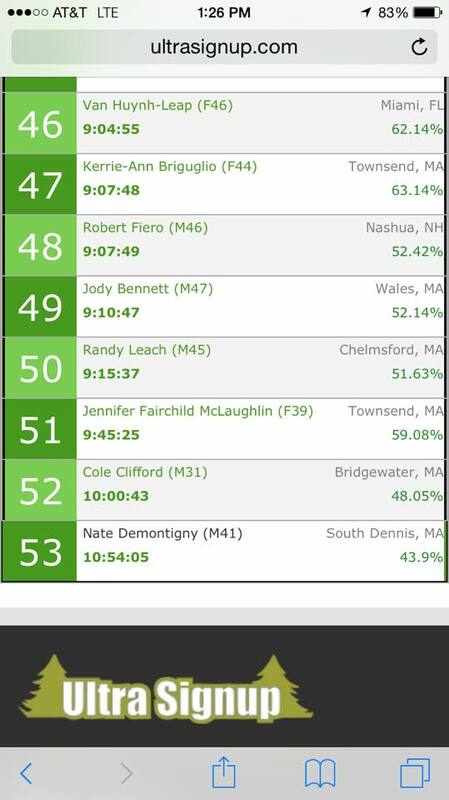 I’m not diminishing that running a 50k is hard, because I nearly gave up! Your body can do it; it’s your mind that will play the biggest role in determining if you finish or not. Out on the course my mind told me over and over how I could just quit and walk away, hey I attempted the race right? Yes, I know that is an accomplishment in and of itself, but none of us go out to race with the intent to pat ourselves on the back for not finishing. We line up to finish, no matter how long it takes us. What I would have done differently is run more often. I think I would have at least tried to hit 40-50 miles a week. That way my knees might get used to the constant pounding. What does you current nutrition look like? How far is your longest run? Running a half-marathon before running your 50k is a great idea, it’s the farthest I had run in a race before hand as well.